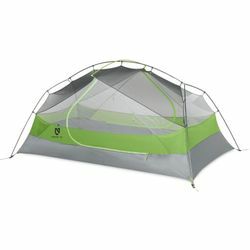 NEMO Dagger 2P Ultralight Backpacking Tent. Dagger™ is the quintessential one-tent wonder: light enough for backpacking, yet roomy enough to comfortably wait out a rainstorm inside. This best-seller is updated in 2019 with prebent poles to create more headroom, color-coded poles and webbing for intuitive set up, and several additional improvements to increase ventilation, convenience, and durability.